John Moses Browning was granted US Patent 346021 on July 20th, 1886. He submitted application for this patent on January 2nd, 1886. 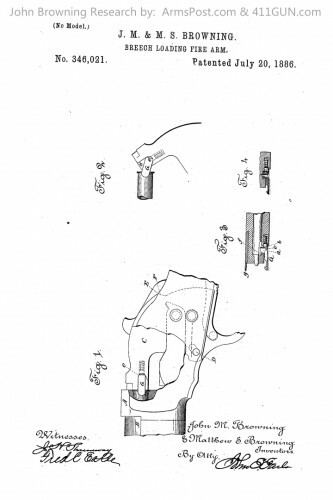 This patent was for a Breech Loading Firearm. © 2019 Arms Post. All Rights Reserved.